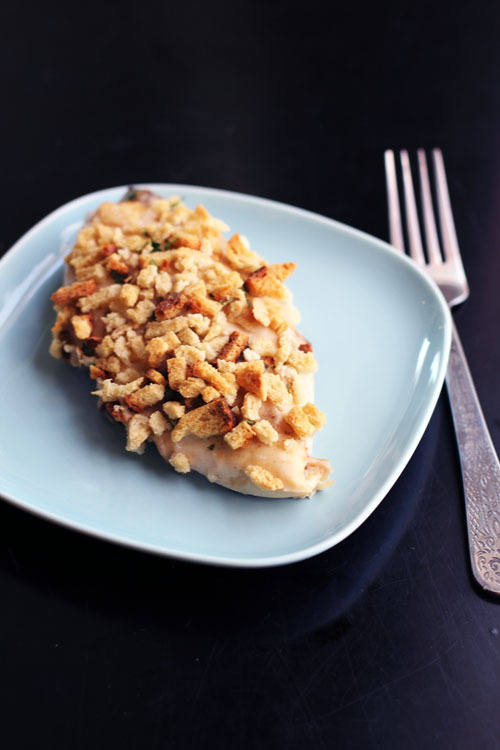 Baked Stuffing-Coated Chicken: Only 3 Ingredients to Pure Deliciousness! My mother-in-law Pat claims she’s not a good cook, but I wholeheartedly beg to differ. Some of my very best cooking tricks, tips and recipes have come from her. And some of my favorite non-recipe “recipes” come from her. Pat has a knack for making easy-to-prep food taste really good. Today I’m sharing one of those non-recipe recipes. It is seriously beyond easy with only 3 ingredients. The recipe is a little old school, i.e. there is canned cream-of-whatever soup involved. 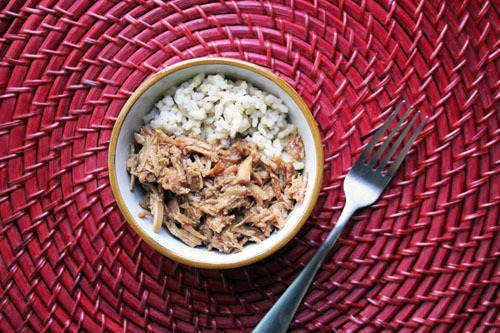 I rarely buy canned soups, but I certainly do for this chicken recipe! 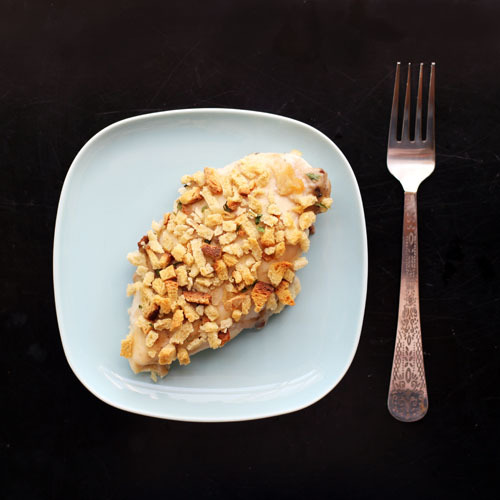 The chicken comes out so tender and juicy, and the stuffing cooks perfectly, soft and yummy where it touches the chicken with a nice crunch around the outside. In an effort to mix things up with all the soft foods I’ve had to eat lately, I wanted to do something a little different with this week’s batch of potatoes. I don’t know about you, but I love twice-baked potatoes. But, honestly, scooping the hot baked potato out of its skin is one of my least favorite kitchen tasks. The potatoes are always super hot and I invariably break some of the skins. 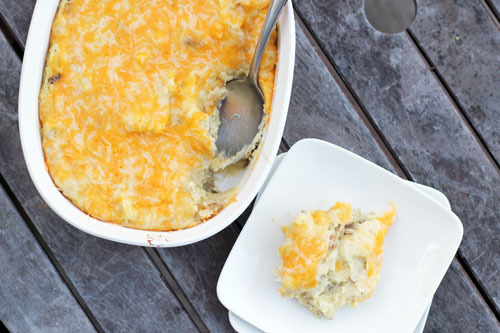 As I was eating mashed Yukon Gold potatoes with the skins mixed in the other day, I had a revelation…as cute as twice-baked potatoes are, if you just mash the skins in with the potato and make a casserole out of it, it would be easier to prepare and probably taste just as good. And so the twice-baked potato casserole was born! A bit easier to prepare than its classic counterpart and easier to serve to a crowd. 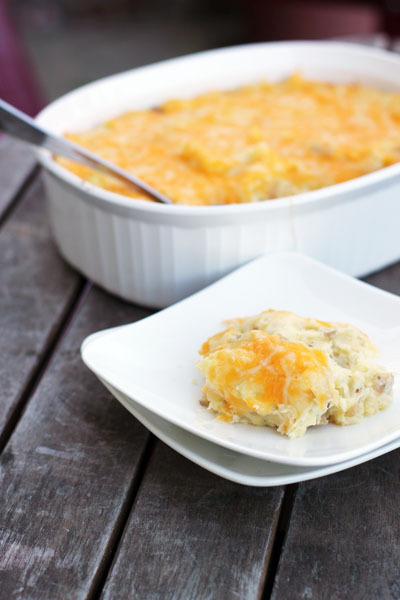 And, the casserole version did taste just as good. Hypothesis proven correct! Enjoy! 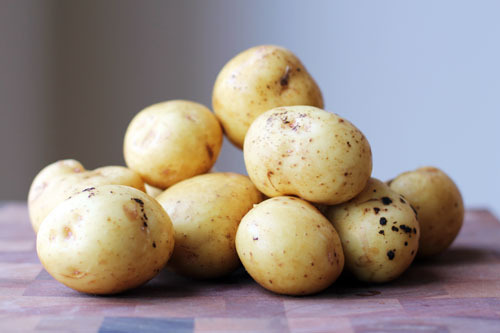 Poke a few holes in your potatoes, wrap in foil and bake in a 350-degree oven for about an hour, until easily pierced by a knife. Leave the oven on. Mash potatoes with the skins ON in a bowl by hand. Add cream, butter, sour cream, salt and pepper. Mix and mash some more! Spread in a 1-1/2 quart casserole dish. Top with cheese. Bake for about 10-15 minutes, until cheese is all melted. Top with sliced green onions if desired.